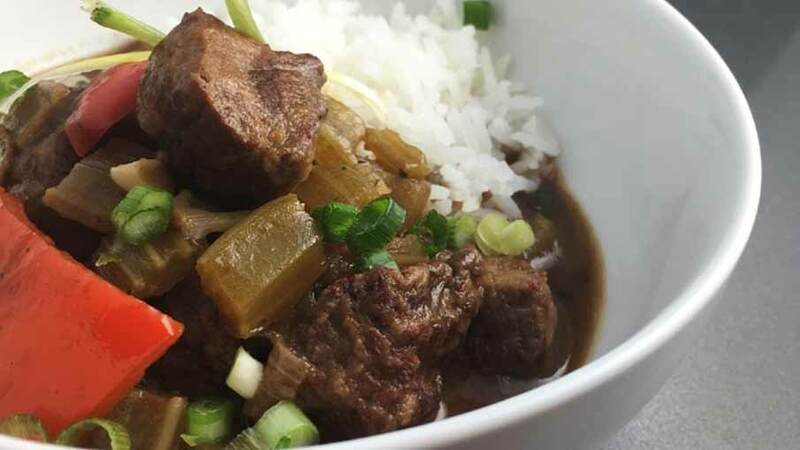 Served with rice, garnished with green onions and hot sauce, this Cajun-inspired dish is an excellent way to enjoy venison. Can substitute other venison as necessary. Tenderize cubed meat and season with salt, pepper and ¼ cup flour. Shake off excess. Heat 3 tablespoons of oil over medium heat in a large soup pot. Sear the meat in the hot oil until browned on all sides. You may need to do this in batches so not to crowd the pan. Remove meat and set aside. Add celery, onions and peppers to the pot and cook until soft about 10 minutes. Remove and set aside. Add the remaining oil to the pot. When the oil is hot slowly add the ½ cup of flour stirring constantly. Continue to stir the flour and oil together until the color begins to darken to a rich chocolate color about 7-8 minutes. Adjust your heat if needed so not to scorch the roux. Add the vegetables, meat, sausage, oregano, basil, thyme and garlic back to the pot. Gently stir everything together. 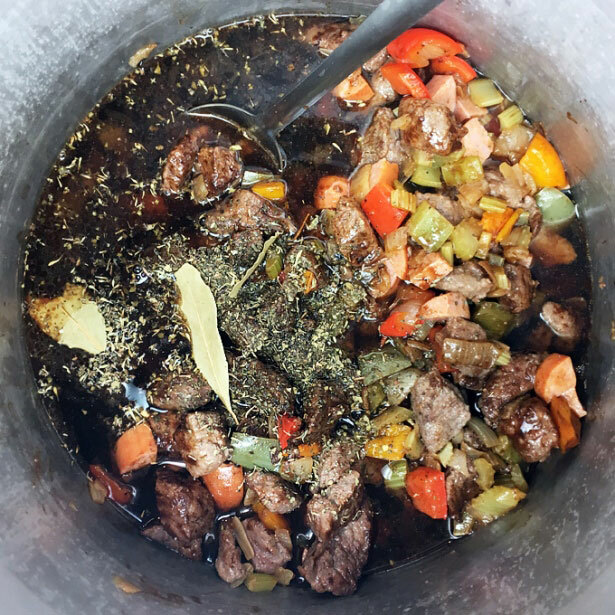 Add the beef broth and bay leaf and reduce heat to low. Simmer uncovered for an hour or until meat is tender. Before serving, add Filé powder to the gumbo and stir together. 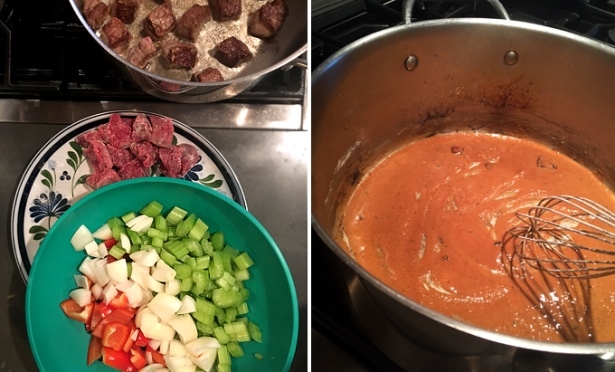 Serve the elk venison gumbo along with cooked rice. Garnish with chopped green onions and hot sauce. 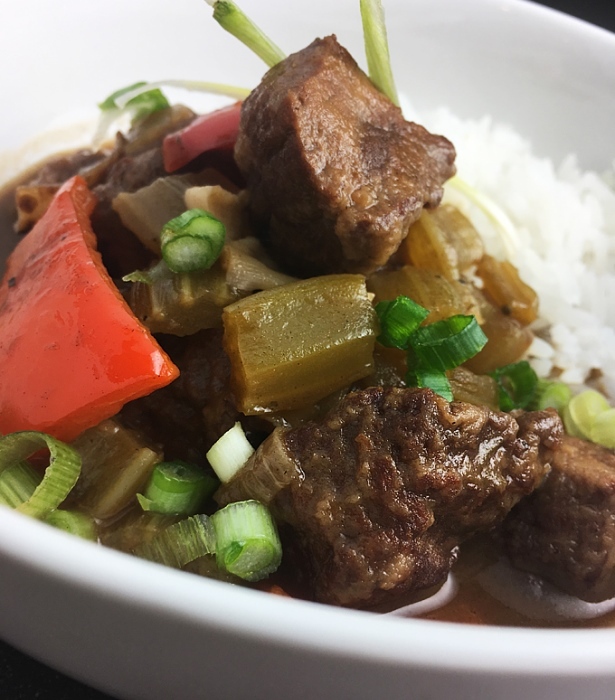 For more information about this elk venison gumbo recipe, please visit NevadaFoodies.com.